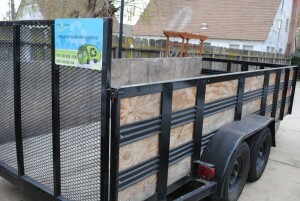 No junk hauling trash removal job too small & we offer Competitive Rates. We accept Cash, Check, or Credit Cards (Visa, MasterCard, & American Express) for your convenience. We specialize in Residential & Commercial junk Removal & trash Removal Clean Outs. For all of your junk removal & trash removal needs. 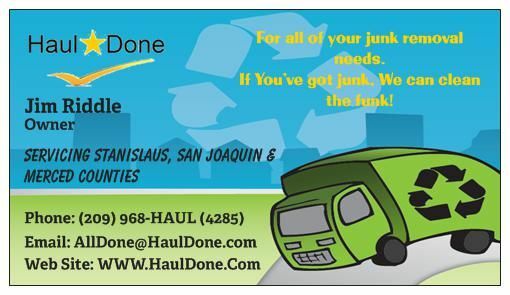 If You’ve got junk, We can clean the funk! Approximately 16 Foot Long by 6 Foot Wide Cargo Space in Trailer plus 3 Foot Side walls for all of your trash removal & Junk Removal needs. 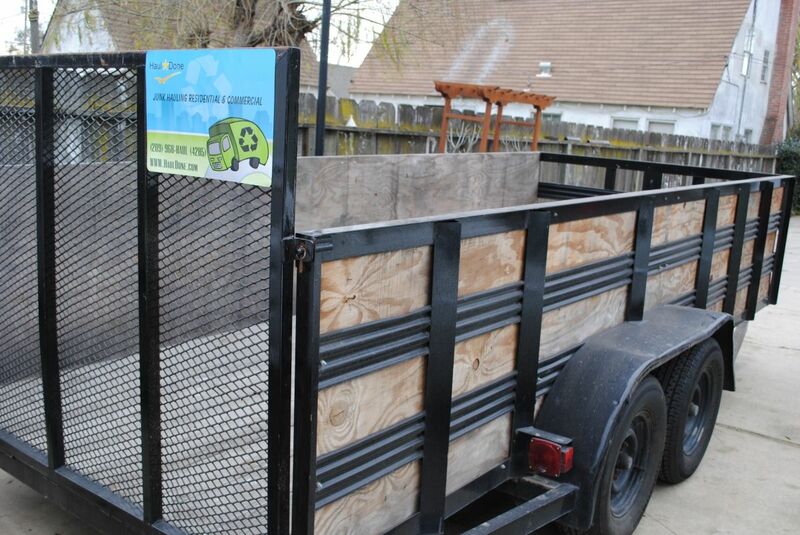 We can haul up to 5000 pounds per trash removal load and we will do multiple loads if needed. From junk removal as small as a table, couch, or yard waste, Or as big as a Hoarder’s house or yard. If you call, We can haul it all. 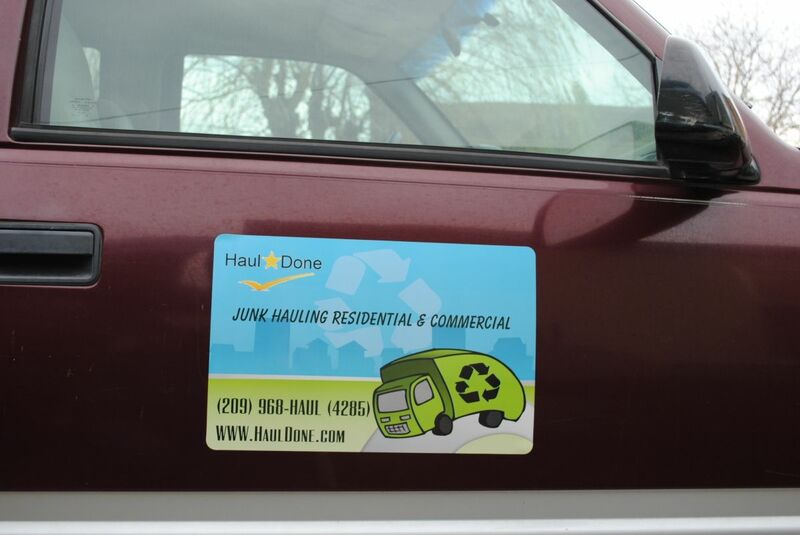 Haul Done takes pride in being a Green Company. We try to keep as much salvageable junk as we can out of landfills by recycling whenever possible. We are on time and show up when we are suppose to at every junk removal / trash removal job. An owner or manager will be at every junk removal job to insure you are 100% satisfied. After removing your unwanted junk or trash, We clean up after ourselves by using a rake if items are removed off of dirt or grass. If items are being removed from cement or a hard floor, we sweep up after ourselves to insure you have a clean area again. We Take Pride In Being Green & Clean! We offer Residential & Commercial Trash Hauling. We offer trash removal / junk removal Services for Stanislaus, Parts Of San Joaquin County, & Merced Counties in California. And Just Remember, The Jobs Not Done, Until It’s Haul Done.